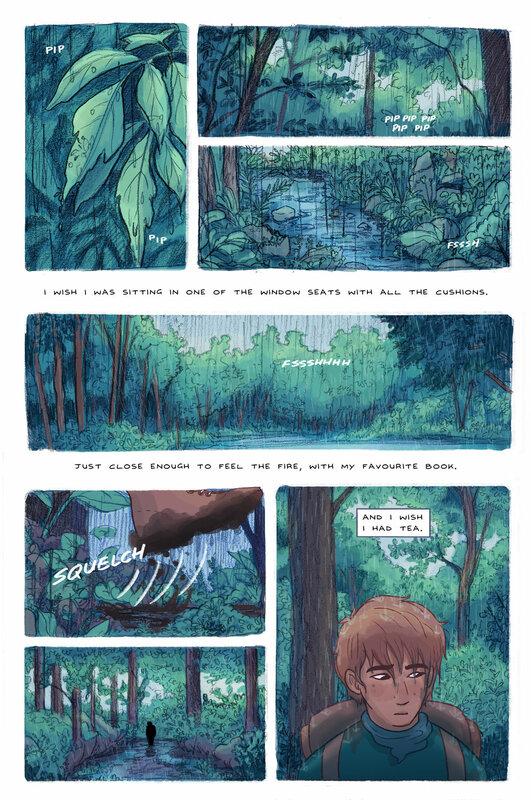 Hari currently writes and illustrates Finding Home, a multi-award-winning comic series for older readers, whose first print volume was released September 2018. Find out more about Hari’s fantasy series and where you can read them below! Hari also works together with writers and on comic anthologies, including We Shall Fight Until We Win (404 Ink / BHP comics 2018) and as the organiser and editor of 'D&Doodles' comic and artbooks, celebrating group storytelling in tabletop RPGs. 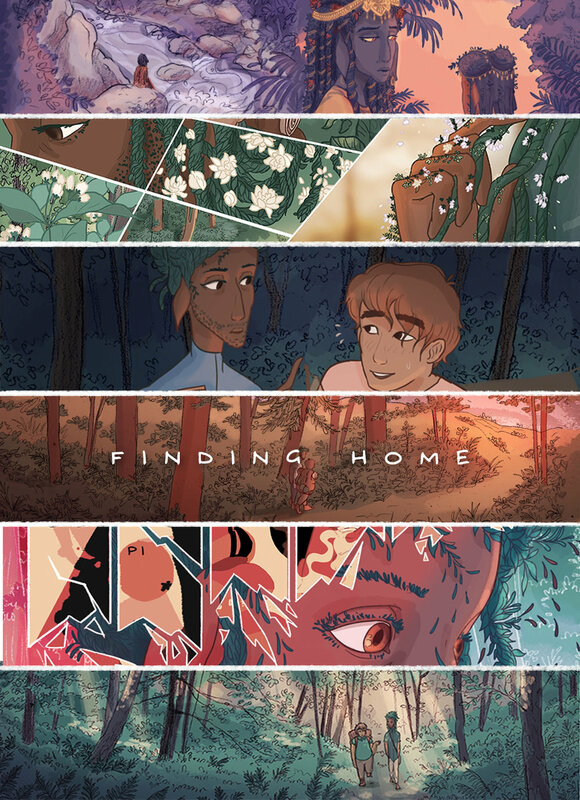 Finding Home is an award-winning LGBT romance comic that explores mental health recovery, nature, magic, and the small moments that change how you feel about someone. On a long journey, two very different people thrown together by circumstance grow closer than they expected. But they're just friends... right? Finding Home is an ongoing project serialised online as a webcomic, with the second volume of three currently in progress. Recommended for readers aged 16+. Hari has also self-published several other comics and artbooks, including organising & editing D&Doodles - both the original, currently-sold-out tabletop anthology, and the ‘Titan Walk’ spin-off. Nyx in the Overworld is a 200+ page fantasy animated-gif comic that pays homage to / plays with video game quest narratives, exploring myths about magical creatures and what it means to be a hero. This comic is now complete, with a full book version funded through Kickstarter, where it was funded in less than 24 hours, and chosen as a featured project. You can buy Nyx in the Overworld in print, or read online with animations & soundtrack.